Any woman who subscribes to the aims and objectives of the SBPWA is welcomed to join! 1) Professional SBPWA member - A Professional SBPWA Membership applies to all, including post-graduates. Students in tertiary institutions may join as an Associate SBPWA member. 2) Associate SBPWA member - An Associate Membership applies to all tertiary students who are not yet in a profession or a business. Dues are collected on an annual basis in the month of June/ July. Associate Member can look forward to Mentor matching to help you kickstart your career and build up business skills. Membership Year: 1st July - 30 June following year. Should you join SBPWA in other months, your membership fees will be pro-rated when your membership is due for renewal. 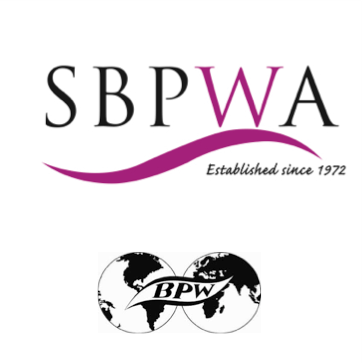 Please note that when you sign up for SBPWA membership, you agree to share your basic information (Name, Industry & Occupation) with fellow members. Members are allowed to contact each other once you are logged in to the portal via private messaging. Your contact details will be private until you choose to reveal it to another member. Your application shall be reviewed by the Membership Committee within a week of your application, as all membership applications must be approved by the Exco and dues fully paid before acceptance. Should your application be unsuccessful, we will refund your paid membership fee in full (excluding transaction fees) within 10 working days. A payment processing fee of 3% to PayPal applies.